An empty wrapper slides off the bed as you shift, just one of the many nestled in the folds of your comforter. You’re adjusting the location of your laptop, the battery is hot and has started to sear your legs. Its screen covers your face in an artificial glow. You touch your face, it’s greasy. Your nose scrunches in distaste, you think when was the last time I took a shower? It’s 2:37 a.m. You’re twelve episodes deep into Starz’s Outlander. Your eyes sting. But as the credits roll, your pointer finger glides over the laptop’s trackpad. Click. Next episode. Binge­ watching has become the new normal. A 2015 study done by TiVo found that nine out of ten people participate in this form of television gluttony, which is defined as watching more than three episodes of a single show in one day. And as the vast majority of Americans have decided to continuously click the next episode button, the activity of staring zombie­eyed at a screen for five hours straight has gotten significantly less shameful. Only 30 percent of the study’s respondents reported a negative view of binge ­watching, in comparison to two years ago when more than half of respondents found the term “bingeing” to have a negative connotation. Netflix reigned supreme in the study, with 66 percent of respondents using the streaming service to watch copious episodes of their original series—House of Cards and Unbreakable Kimmy Schmidt topped the list. Netflix analysts have crunched the numbers and are now able to estimate how many episode you need to watch in order to fall into a binge watching blackhole. Two episodes of Breaking Bad and you’re hooked, three episodes for Orange is the New Black, and a whopping eight for How I Met Your Mother. And get ready for 600 hours of new Netflix original content this year, including over 30 original series—new shows like Judd Apatow’s Love, Marvel’s Luke Cage, Flaked starring Will Arnett, and historical drama The Crown. It would take a total of 25 days to binge ­watch all of this new footage straight through. Plus, content is available on other streaming sites such as Amazon Video and Hulu. Even Youtube is getting in on the game. This past February, the video site launched its first original series, Scare PewDiePie, on its new subscription service Red. With so many hours of television out there and only a click away, the question becomes: how do I binge ­watch to the best of my ability? Make sure you have lots of free time. Binge ­watching, according to TiVo, means watching a minimum of three episodes. For traditional hour-long programming this can take between two and half to three hours. But let’s be honest, there’s a big chance that you’re going to watch more than just three episodes. Lindsey Simpson ‘17 sites her most severe case of binge ­watching as viewing the first two seasons, 19 episodes, of The Walking Dead in just three days. This isn’t uncommon; 37 percent of TiVo’s respondents have spent whole weekends binge ­watching. In an even more extreme exhibition on binge­ watching, Samlin Miller ‘17 finished all nine seasons of the 30­-minute comedy Scrubs in a week and a half during summer 2014. By the end of that August, Miller had finished a total of 15 television series, often averaging a season a day. And it doesn’t help that some streaming services, such as Netflix and Amazon Video, drop whole seasons on one day. This allows viewers some serious instant gratification and is like no other experience the American public has ever had television wise, as cable’s traditional method is airing new episodes once a week. Get comfy. If you’re going to be glued to your laptop for hours you might as well be comfy. Food and your favorite sweats are a must. Chips are a classic television snack, but really anything that you can continually pick at works. Meals are a little more difficult, because who want’s to make or go out for dinner in between How to Get Away With Murder episodes? The suspense is too killer. This being said, anything that can be popped in the microwave and ready in two minutes is a godsend. Either that, or stuff junk food into your mouth until you forget all about food groups and three meals a day. Binge­watching is a solitary activity. The proof is in the numbers, Americans are loners; at least when it comes to binge­ watching their favorite shows. The Arris Group, a U.S. company that manufactures equipment for cable companies, polled 19,000 people last year about their viewing habits. The results state that 69 percent of Americans solo binge. 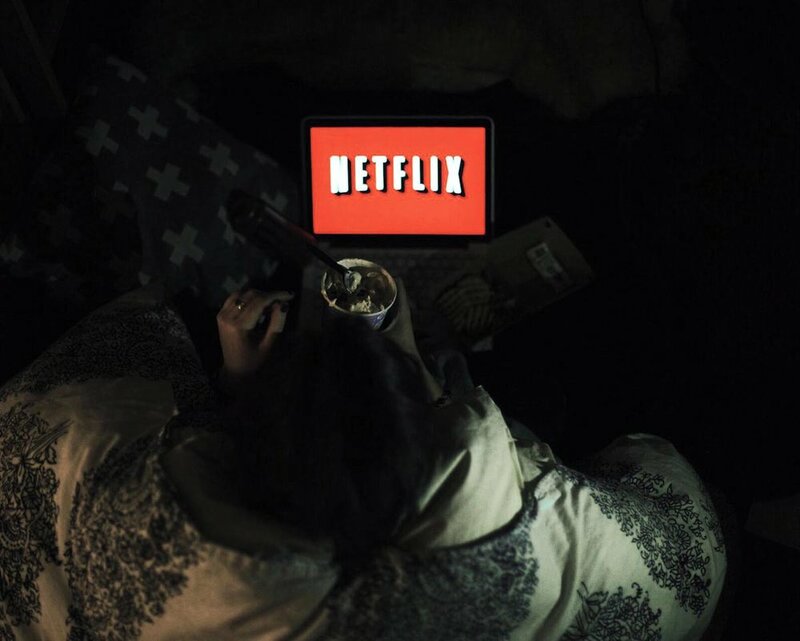 Warning, binge­watching may cause loss of sleep. You’re seven episodes into Transparent, it doesn’t matter if it's 2:00 a.m. you just have to finish the first season. This isn’t uncommon. TiVo’s study found that 31 percent of respondents had lost sleep from this habit that’s oh so hard to break.